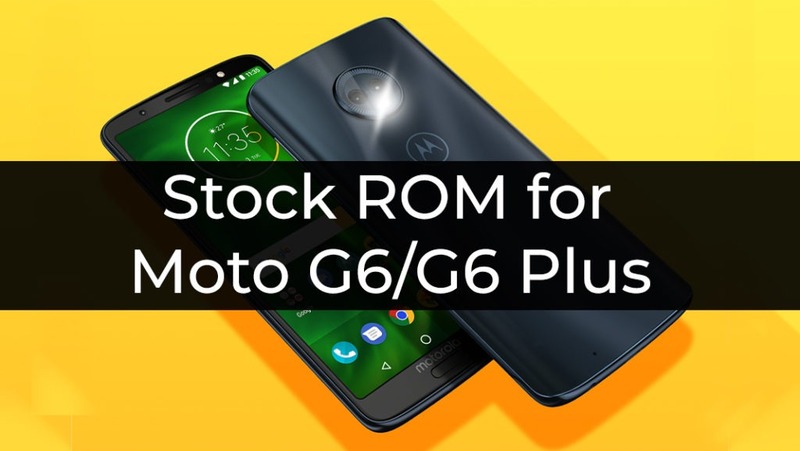 Stock ROM/Firmware for Moto G6 and G6 Plus. In this post, you will find stock ROM for Moto G6 plus with a Step by step installation guide. Stock ROM or Firmware is the most stable OS you will find out there. And because it includes the low-level code or kernel, flashing a Stock firmware can fix many issues like Bootloop, freezes, bugs and many other software issues. Download the Stock ROM/firmware and follow the steps given below to flash stock firmware on Moto G6/G6 plus. Note: Do not simply copy and paste these commands! – system.img_sparsechunks may differ in number and name. Always check contents of the folder you’re working with. You must flash all of the sparsechunk files you have. This will flash the Stock ROM/Firmware on Moto G6 and G6 Plus.